Dot and Dash series is written by Emma Dodd in 2009 in English. 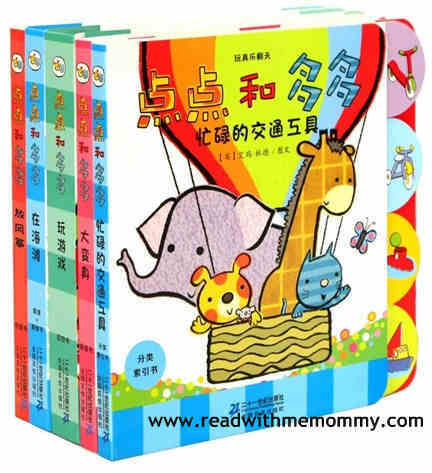 It comes in set of 5 board books, with highly interactive pop-up, touch and feel, etc. (Please see sample pictures). Recommended for toddlers of 1 to 3 years old. 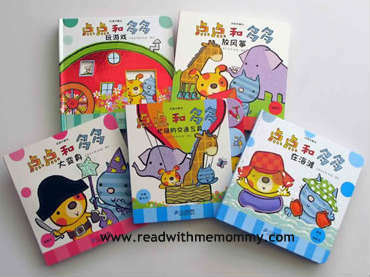 This series makes an ideal book for young toddlers, and a great gift for the little one.